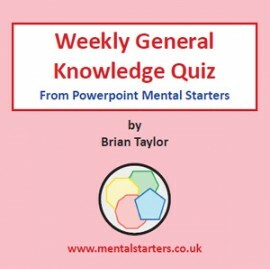 40 powerpoint quizzes - Something EVERY school will want. History, Sport, The Arts, Geography, General Knowledge. Questions appear at 30 second interval, and the pupils can play either individually or in teams to write down the answers. The answers then appear on the screen for checking - so only peer marking is involved. Once purchased, the quizzes can be used for any classes within your school.